If you're a medical student or an intern, your life is about to change. Your career is about to be set on a new trajectory. 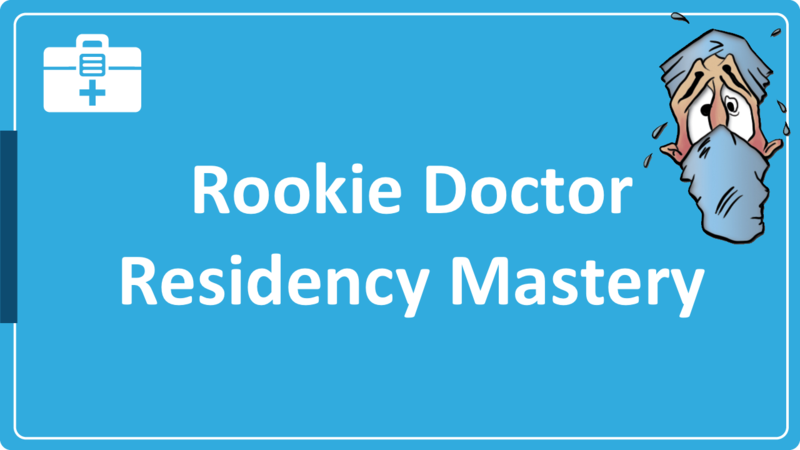 The RookieDoctor.com Mastery Orientation 4.0 (MO4) is a collection of hours & hours worth of video & audio training that you will NEVER get from your medical school or residency program. Well, guess what... Because it is new, it is being offered to you at a deep, deep discount. The RookieDoc Membership usually costs $47/month & goes for 8 months. Using higher math :) that comes out to $376 by the time you're all done. Not only do you get all of these modules, but you get access to them all at once, right now (unlike previous versions of the RookieDoc Membership). The videos are mobile-ready too! Meaning... you can watch them on your iPhone, iPad, and Android. Even better, there's a community of people just like you. You can comment on videos, follow other community members, and interact in a forum or privately. No more posting on public forums & having idiots weigh in on things they know nothing about. And even better than that... I will be participating actively in the forums, answering your questions, giving advice, and sharing resources. It's downright SWEET. And it will not cost you the $376 that the old membership costs. It won't even be one fifth of that. You're in for only $68, one-time. No monthly subscriptions, either, & you get a full year of access. And if for some strange reason you want cancel & get a refund... no problem. There's a 30-day, no questions asked, no hoops to jump through guarantee. If you do not find this training to be completely amazing, then just ask for a full refund before the 30 days is up. This is the residency orientation no one will ever give you.